Discover Aly Raisman's inspiring story of dedication, perseverance, and learning to think positive even in the toughest times on her path to gold medal success in two Olympic Games-and beyond. But it wasn't an easy road to success. Aly faced obstacle after obstacle, including naysayers who claimed that she didn't have the talent to compete at an elite level and classmates who shamed Aly for her athletic body. Through it all, Aly surrounded herself with supportive family, friends, and teammates and found the inner strength to believe in herself and prove her doubters wrong. 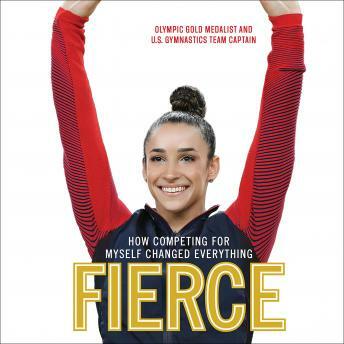 In her own words, Aly shows what it takes to be a champion on and off the floor, and takes readers on a behind-the-scenes journey before, during, and after her remarkable achievements in two Olympic Games-through her highest highs, lowest lows, and all the moments in between.